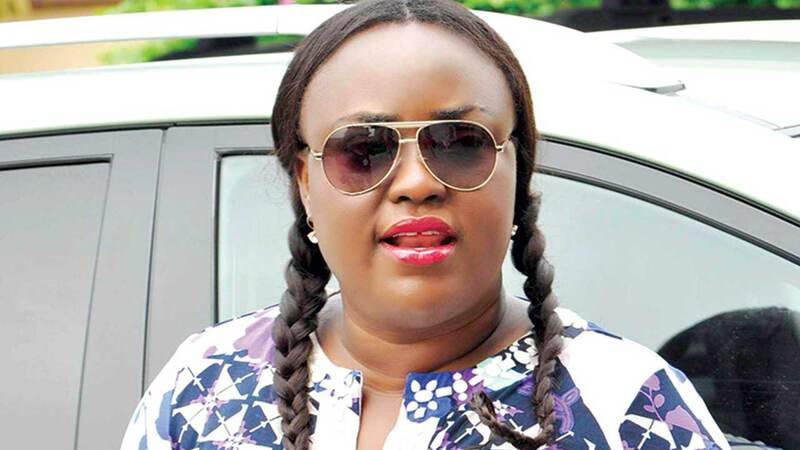 Nollywood producer and CEO of Royal Arts Academy, Emem Isong Misodi, alongside South African actor Jerry Mofokeng will be on the spotlight on July 3, during the 2018 The African Film Festival (TAFF). Holding in Dallas, the United States of America, organisers have announced the distinguished film practitioners as recipients of African Film Leadership Awards, which will be presented festival opening on June 29 and will run till July 3, at the Dallas City Performance Hall, Dallas, Texas. According to TAFF founder, Mr Kelechi Eke, the award will be given to Emem in recognition of her immense contribution towards the development of the African film sector. A renowned filmmaker, Emem is the founder of Royal Arts Academy where she mentors young talents and provides opportunities to rising stars. On his part, Jerry Mofokeng enviable exploits in South African film industry, is inestimable, having starred in several critically acclaimed films, including Cry The Beloved Country; Lord of War; Mandela and de Klerk; and the 2005 Academy Award-winning film Tsotsi. Speaking on the festival, Kelechi said, the festival would climax on July 3 with an awards night, adding that Richard Mofe Damijo, who hosted last year’s edition, will be teaching the Master Acting class again this year, while popular film director Lancelot Imasuen will teach a class in directing. The classes, he said would be held at Southern Methodist University, one of the most prestigious universities in Texas, which supports TAFF initiative in promoting African Arts and Culture through motion pictures. While the festival opening night will be a folklore of storytelling sessions by Eclectic Vanessa Danso from Ghana; Ben Amushie from Nigeria, Dallas Poetry Slam, Juliana Musical Drama from Tanzania, and Ruth Ndulu Maingi from Kenya, the festival director revealed that the Association of Nigerian Physicians in America (ANPA), will be part of this year’s event, as its members will be holding a convention in Dallas ahead of the opening of the festival. ANPA is said to be partnering TAFF to showcase the power of Medicine and Film, as its founder will be delivering a paper at the convention. Notable filmmakers, who are expected to grace this year’s TAFF include Uche Jombo, Stella Damasus, Charles Billion, Jim Iyke, Kenneth Okolie, Mykel Parish Ajaere, Robert Peters, Dolapo Ajayi, and other US- based Nigerian filmmakers. Also, expected at the event are Cameroonian filmmakers, Kang Quintus, Ruth Nkweti, Terence Limona, Tiana Bibish. Gambian Alhagie Manka; Sierra Leonian Winstina Taylor; Congolese Soleil Marie; Kenyan Hollywood-Based, Benjamin Onyango; and all the practitioners whose work were among the 40 selected films, including Esi Yamoah (Ghana), Molatelo Mainetje (South Africa), Andy Boyo (Nigeria) and Pascale Serra (Central Africa Republic) just to mention a few. According to the organizers, the Five-day event will showcase films made by Africans, as well as a few made by non-Africans about issues important to different regions of the continent.